The National Vaccine Injury Compensation Program ("Vaccine Program") comprises Part 2 of the National Childhood Vaccine Injury Act of 1986 ("Vaccine Act"). See Pub. L. No. 99-660, 100 Stat. 3755 (1986) (codified as amended at 42 U.S.C. §§ 300aa-1 to -34). The Vaccine Act became effective October 1, 1988. It establishes the Vaccine Program as a no-fault compensation program whereby petitions for monetary compensation may be brought by or on behalf of persons allegedly suffering injury or death as a result of the administration of certain compulsory childhood vaccines. Congress intended that the Vaccine Program provide individuals a swift, flexible, and less adversarial alternative to the often costly and lengthy civil arena of traditional tort litigation. All vaccine claims are managed and adjudicated by the congressionally created Office of Special Masters, which consists of eight special masters who are appointed to serve for four year terms. 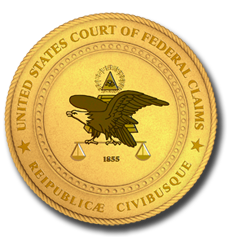 The Office of Special Masters is established within the U.S. Court of Federal Claims which appoints and removes the special masters and to which the special masters' decisions are appealed. A special master has two primary functions: case management, which involves overseeing the collection of information and setting time frames for its submission; and decision making, which involves determining the types of proceedings necessary for presenting the relevant evidence and ultimately weighing the evidence in rendering a final, enforceable decision. In each case, the special master actively and frequently interacts with the parties, generally through counsel representing petitioner and a Department of Justice attorney representing the Secretary of Health and Human Services, to ensure that the case progresses effectively and efficiently. The parties are also given several opportunities early on in the case to ask questions, raise concerns, discuss generally how the system works, and, if appropriate, learn the special master's tentative conclusions and findings. Throughout the entire process, the special master makes every effort to balance Congress's vision of streamlined proceedings with the parties' right to a fair opportunity to present their cases. The special masters' rules, orders, and other published communications, such as the special masters' Guidelines for Practice Under the National Vaccine Injury Compensation Program, likewise evoke a philosophy of guidance, cooperative effort, informality, and reasonable speed in presenting and deciding the case.